(MENAFN - Kuwait News Agency (KUNA)) By Nawab Khan BRUSSELS , Feb 9 (KUNA) -- North Atlantic Treaty Organization (NATO) has expressed its appreciation for Kuwait's active role in the Istanbul Cooperation Initiative (ICI) and for boosting cooperation between the 29-member Alliance and the Gulf Cooperation Council (GCC) states. "I noted and expressed appreciation for Kuwait's positive and active role in the ICI Partnership, in particular as the generous host of the NATO ICI Regional Center," Alejandro Alvargonzalez, NATO Assistant Secretary General for Political Affairs and Security Policy, told the Kuwait News Agency (KUNA) Saturday. He noted that the ICI Regional Center in Kuwait "has been instrumental since its inception in enhancing our practical and political cooperation with all NATO's partner countries in the Arab Gulf." 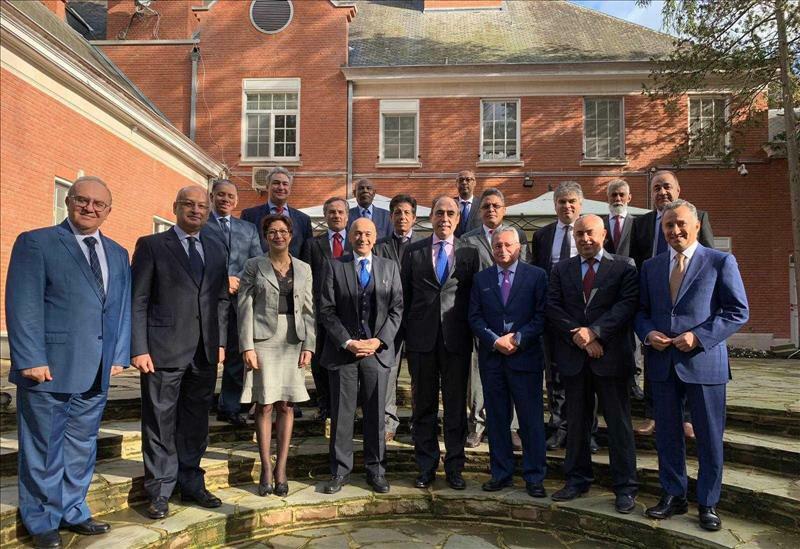 In similar fashion last Wednesday, Alvargonzalez delivered a speech at the luncheon of Arab Ambassadors based in Brussels, hosted by Kuwait's Ambassador to NATO, the EU, Belgium and Luxembourg, Jasem Al-Budaiwi at his residence. "I shared with the Arab Ambassadors present, NATO's partnerships in the MENA (Middle East North Africa) region, under our Mediterranean Dialogue (MD) and the Istanbul Cooperation Initiative," said the top NATO official. "As we celebrate the 15th anniversary of the ICI and 25th anniversary of the MD, I noted that NATO's partnerships have allowed us to progressively enhance our political dialogue and practical cooperation, contributing to improve regional security to the benefit of all countries involved," he said. Alvargonzalez added that his presentation to the Arab ambassadors highlighted the importance of cooperative security for NATO, which is one of its main three core tasks along with collective defense and crisis management. On his part, Ambassador Al-Budaiwi told KUNA that the luncheon came in line with the many activities organized by the Kuwait embassy in Brussels to bring the Arab world in closer connection with the international organizations and European institutions based in the Belgian capital. "Kuwait has a unique and historic relationship with NATO," he said pointing out the Kuwait was the first GCC country to join the ICI. "We are the only country outside the Euro-Atlantic area to host the regional NATO center. We are engaged with NATO in many activities, such as workshops, training courses that not only benefit Kuwait but the ICI member countries," he said. Al-Budaiwi noted that the Kuwaiti Deputy Foreign Minister Khaled Al Jarallah last November inaugurated Kuwait's diplomatic mission inside the NATO premises in Brussels. "We are looking forward to boost and enhance our relations in every aspect," stated Al-Budaiwi and added that Kuwait this year is planning to hold an important event to mark the 15the anniversary of the ICI. The ICI was launched at the summit meeting of NATO leaders in Istanbul in 2004 to foster practical security cooperation with Arab Gulf countries. It currently includes Kuwait, Bahrain, Qatar and the UAE. In January 2017, NATO Secretary General Jens Stoltenberg led the North Atlantic Council, which included the NATO permanent representatives, in celebrating the opening of the NATO-ICI Regional Center in Kuwait.